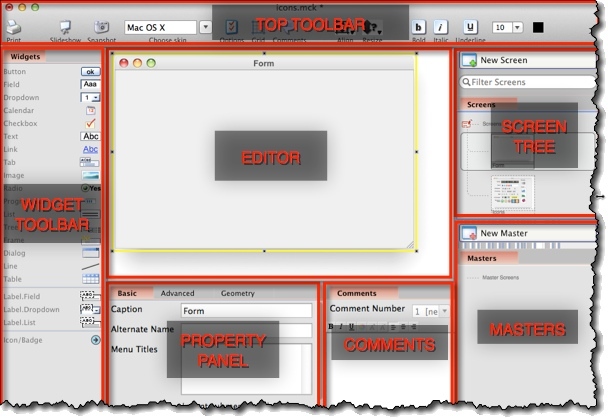 Top toolbar – Main commands, formatting options. Widget toolbar – Available widgets, drag them on the screen. Editor – Current screen mockup is displayed here, along with comments and the grid (both are optional). Widgets can be selected, moved and resized. Right-click menu provides additional functions. Screen tree – All the screens within a project, displayed as thumbnails and grouped in scenarios. Screens can be copied, pasted and rearranged. Right-click menu provides additional functions. 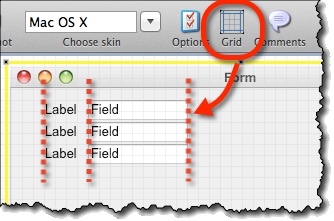 Property panel – Displays properties of the currently selected widget. Most commonly used properties are on a “Basic” tab, more properties are on the “Advanced” tab, while “Geometry” tab deals with the widget’s geometry. Comments – Annotations for the currently selected widget. Comments can be rearranged, or marked as “general” comments related to the screen as a whole. Masters – Master screens are displayed here, as thumbnails. Masters make maintaining dozens of similar screens much easier. Hover the mouse over a panel edge until mouse pointer changes to the resize-indicator icon. 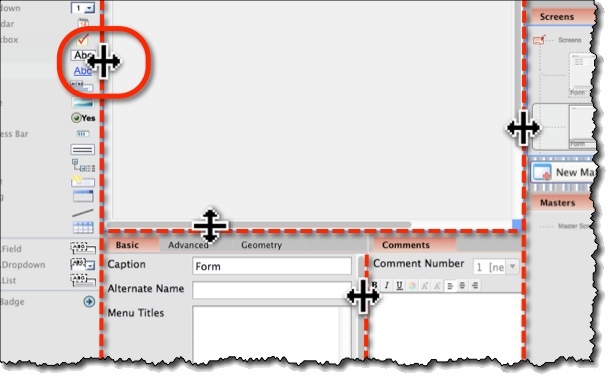 Drag panel edge to resize a panel. More practical way to work with large canvas is to hide panels you don’t need. For Widget toolbar, press Ctrl+1 (on Mac, Cmd+1), or click a “Widgets” icon on the top toolbar. For Screen tree, press Ctrl+2 (on Mac, Cmd+2), or click a “Screens” icon on the top toolbar. 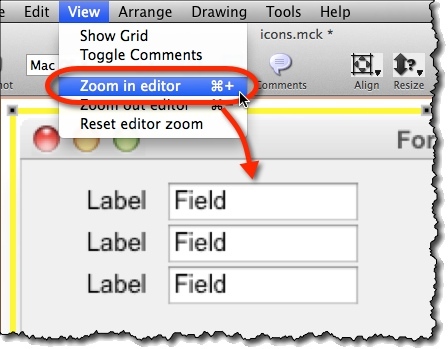 For Property panel and comments panel, press Ctrl+3 (on Mac, Cmd+3), or click a “Properties” icon on the top toolbar. MockupScreens saves your work every 30 seconds automatically, to be able to restore it in the case of crash, power-failure, or similar. In such case, when you start MockupScreens next time it will offer you the option of loading the last autosave of the project you worked on prior to the incident. 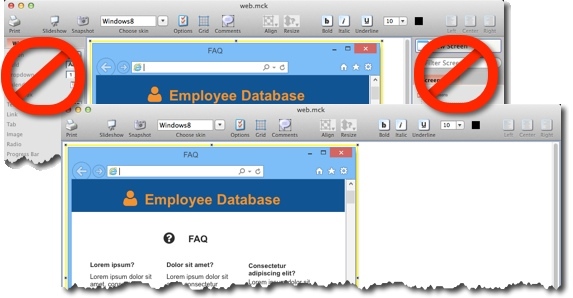 Double-click an existing project file in Windows / Mac. Note: New Window command opens new project in newly open window.